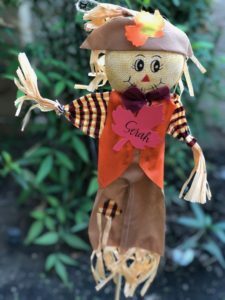 In the fall, families begin preparing and planning to celebrate holidays that will be happening in the next few months. We ask you to consider how can a mom begin planning for any of the coming holidays when she doesn’t even have a home in which to celebrate these holidays? Living in a shelter, or just sleeping on a friend’s couch bring many emotions to a mom. She is scared, worried, hopeless, helpless. That is how many of the moms feel as they come to The Bridge to Hope. Because of those that share their love and commitment of their resources, these feelings of fear and defeat have been replaced with peace, contentment and a hope for the future. They can plan to celebrate the up- coming holidays in a safe place and begin to establish some traditions with their children. As you begin planning to celebrate the holidays in the coming months, please consider and pray for the moms and their children at The Bridge to Hope. They need your encouragment, your love and provisions. As you prepare to celebrate the coming holidays, we hope you regard them, for with your involvment our moms will also be able to plan and prepare because they are in a safe home and with team members that love and encourage them. Those scared, frightened feelings can be replaced with the peace and calm because of you, because of your gift of love and acceptance.